We are home to a large vegetable and fruit farm, a U-pick berry farm, and a teaching and support Incubator Farm for new farmers. Villagers are also avid gardeners and altogether, much of the food we eat is grown on-site. 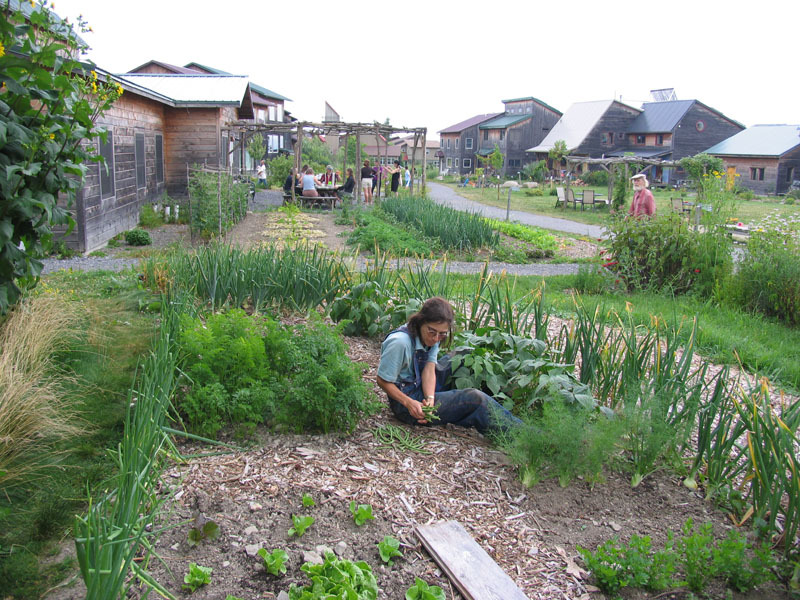 Since 1992, John and Jen Bokaer Smith and a hardworking farm crew, now led by Todd McLane have been growing vegetables, fruit and healthy well-nourished families on 10 acres at EcoVillage Ithaca. The farmland is protected by a permanent conservation easement through the Finger Lakes Land Trust. Certified Organic by NOFA-NY, West Haven sells its produce through a CSA (Community Support Agriculture), at the Ithaca Farmers Market, to the cook team at EcoVillage, and to local restaurants. They also host Groundswell programs for beginning farmers, and lots of visits from CSA families. Take a Photo Tour of West Haven Farm. This small farm is a unique combination of the Community Supported Agriculture (CSA) and U-Pick models, and supplies seasonal small fruit to members in the greater Ithaca, NY area. With about 5 acres in production, and a wide variety of berries including strawberries, blueberries, currants, gooseberries and many more, farmer Katie Creeger helps kids and adults connect with the food they eat and the land that grows it. Kestrel Perch was featured in Organic Gardening magazine. 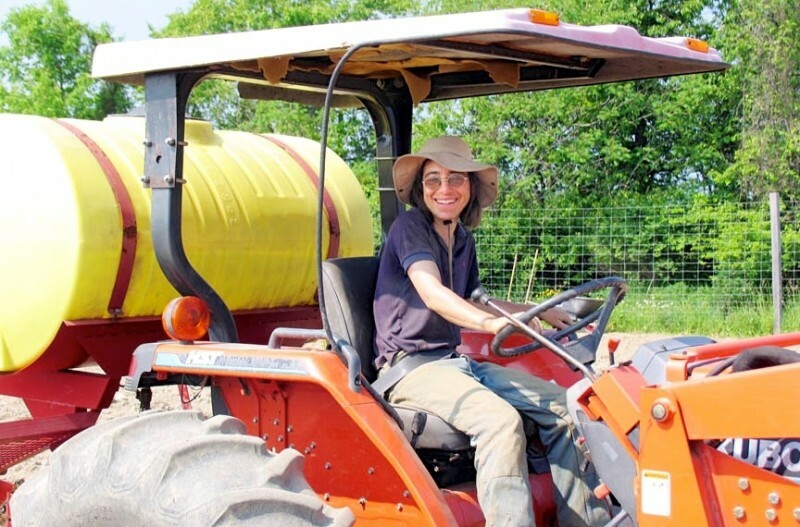 The third farm at EcoVillage Ithaca is set aside specifically for beginning farmers, who each hone their skills on quarter acre plots and share the use of a tractor, water supply and the deer fencing which protects this 5-acre site. 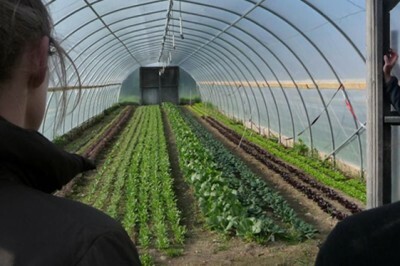 2014 will see at least two vegetable farmers, and a livestock farmer raising pigs. Additional space is available. Apply at Groundswell. Many villagers also tend gardens close to their homes. Edible landscaping is commonplace, with foundation plantings of berry bushes, front paths flanked by kale and kitchen herb gardens within easy reach. 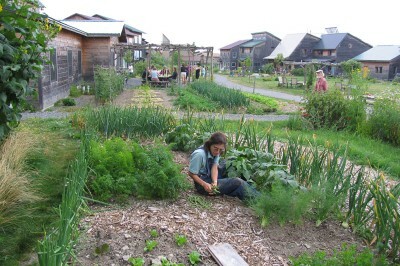 Each neighborhood has a deer-fenced community garden for those who want to grow even more. Cooperation helps with the planning, hard work and fun. 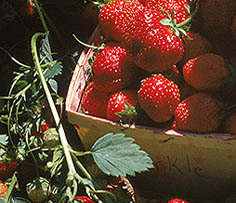 We share seed orders in the Winter, have seedling exchanges in Spring, and share advice and swap chores in the Summer. The Fall sees us sharing our harvests and putting on canning parties for food preservation to eat throughout the winter.